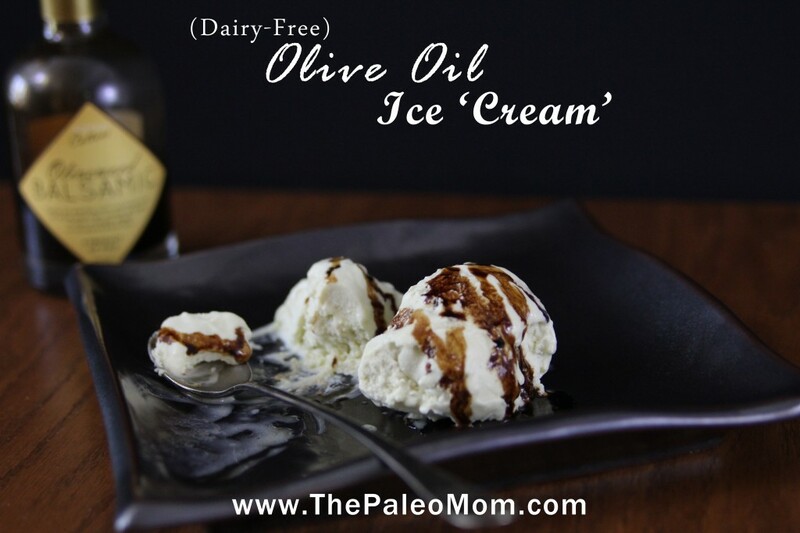 If you have never had olive oil ice cream, prepare yourself: it will change your life. 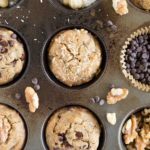 I’m not one for making broad sweeping statements about recipes, but this discovery so changed my own world, I just don’t think I can tone down my enthusiasm. This is probably the best thing I’ve ever eaten. The genesis for this recipe came from a conversation I had with my husband about the health benefits of high quality olive oil after he heard a story on NPR’s The Salt. The story gave some direction on how to pick the best quality olive oil (tips like looking for a bottling date instead of an expiry date) so I very proudly showed him the new bottle of Middle Earth Organics Estate Premium EVOO that I had just opened the night before. 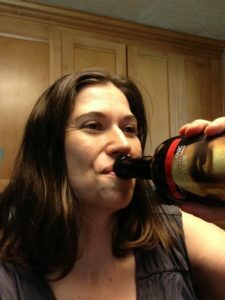 Like the news story suggested, we took swigs and definitely detected more than a hint of the polyphenol telltale peppery feeling at the back of our throats. Feeling like this good quality olive oil was probably something we should consume more of, I started experimenting with recipes that were more exciting than salad dressing (usually the only thing I use olive oil for). So, where did the idea for olive oil ice cream come from? Well, it’s actually a common ice cream flavor in Italy, but I really got the idea because I had been researching a far more adventuresome ice cream flavor and I thought “well, this could work instead and might be really yummy”. Ohmigosh, understatement of the year. So, one of the tricks to making this amazing is to buy really high quality extra virgin olive oil. I’ve been loving Middle Earth Organics, which is available on amazon and form Tropical Traditions. But, you can use any flavorful high quality olive oil you want. 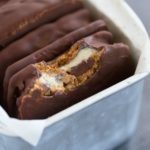 You can make this ice cream with an Ice Cream Maker or with a high power blender (like a Blendtec) and I’ve included instructions below for each. Note on ice cream makers: This is a great investment for Paleo families because it opens up so many delicious possibilities. The Ice Cream Maker Santa brought me two years ago is still going strong and is fairly simple, with a bowl that lives in the coldest part of my freezer ready for whenever I feel like whipping up some sorbet for dessert. It makes very creamy ice cream in about 10 minutes, sometimes less, and is one of my favorite kitchen gadgets. 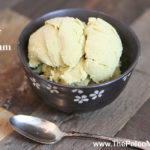 You could also make this ice cream by putting the custard in a metal bowl in the freezer and whisking every 20 minutes or so for the 3-4 hours that it would take to harden. I did this once with a different recipe before getting an Ice Cream Maker. It works, but it isn’t as good as using a machine. Ah, olive oil ice cream. Creamy, the most exquisite flavor ever, I just don’t know how to describe how yummy this is. And if you really want your mind blown, try topping it with a super well aged thick balsamic vinegar. You’re welcome. Heat coconut milk on medium-low heat, stirring very frequently, until hot and steaming but just short of a simmer (do not let the milk simmer!). Separate eggs (discard whites or save for another purpose) and place yolks in a heat-safe container (a pyrex measuring cup works well). Temper the egg yolks by adding a ladle full of hot milk to the yolks while stirring the yolks. Now add the tempered yolks to the saucepot, again stirring constantly. Let cool to room temperature. Add the rest of the ingredients. I think it’s best to blend them together for a minute to fully incorporate, but you can whisk them together too. Chill the custard in the fridge until cold. and follow the directions. Once it’s done in the ice cream maker, pour into a freezer-safe container and freeze for 1-4 hours to harden a little more before serving. Place custard in a freezer-safe bowl and freeze until mostly solid, 4-6 hours. Scoop out frozen custard into your Blendtec and press the ice cream button. Voila! This works best if you blend it before the custard is 100% solid. Then you can put it back in the freezer for another hour or two before serving. If the ice cream is so solid, the blades won’t grip it, just let it sit at room temperature for about 20 minutes and try again. Enjoy! Store any leftovers in the soft zone of your freezer (or remove from the freezer 20 minutes before serving). I’m not sure I’m the best person to ask because I don’t like sugar substitutes at all… my best suggestion is to just have a small portion. Try tupelo honey. It metabolizes differently so it won’t cause a burst of glucose n your blood. Lakanto sugar. zero calories, zero net carbs. tastes identical to sugar and is actually good for you! Ok, you totally got my attention with this one! Gotta try it this weekend–with 1/4 cup maple syrup in place of the honey. This looks amazing! Do you think I could sub almond milk for the coconut milk? It’s not as thick, so would I need to reduce the amount? It would probably work, but part of why this is so creamy is because of the coconut milk. Best. ice cream. ever. It’s such an unlikely combination of ingredients that I had to try it, and now I don’t think I’m going to be able to hold out till dinner time. It is that amazing. 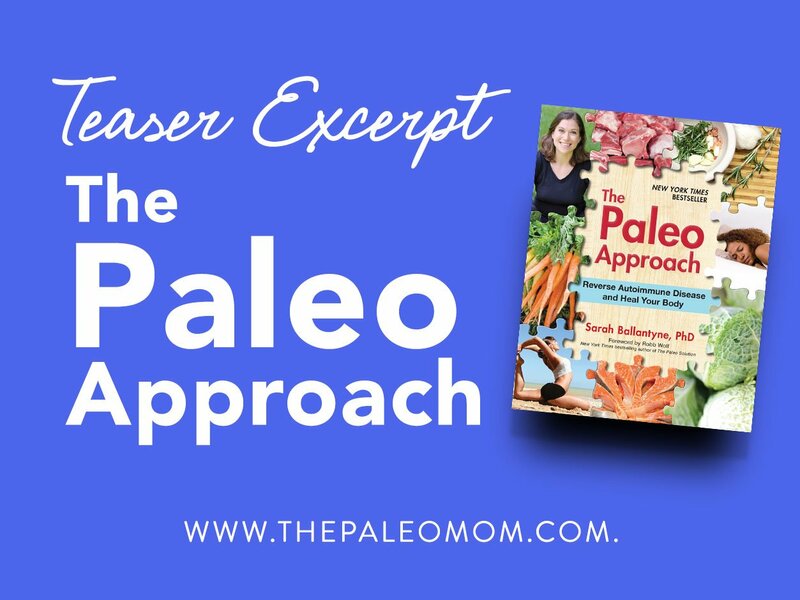 I wouldn’t sub anything – as PaleoMom wrote, just eat less of it if you are worried about the sugar content. The honey gives it an amazing depth of flavour, which just wouldn’t be the same with sugar substitutes or maple syrup. Hello. Just wondering… is coconut cream the same thing as coconut manna or coconut butter (Artisana), and if not, do you think they might work in your recipe? No. It’s like the top thick half of a can of coconut milk. And, I think that coconut butter would give too much grit. I will be honest, my initial thoughts based on the title post were “what, really? like seriously”, then I thought about it, then I read the post and then the comments, and then I was like “must get myself an icecream maker so I can try this”. It sounds divinely decadent . It’s one of the first foods I recommend adding back in… the only problem with them is that 1-2% of people are allergic. I’ve been doing really well with them myself. I so have to try this. 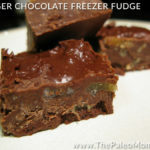 Does it freeze solid when you put in the freezer (assuming there is some left over to keep) or does it stay soft and scoopable? Just wondering about adding gelatin if it does freeze up. The olive oil might keep it soft though. Mine has hardened up in the freezer though it’s still scoopable, especially if you use a warm scoop. can you make this in a vitamix or do i have to buy an ice cream maker? The freezing part of the process is easier with an ice cream maker, but if you didn’t have one you could freeze it in a dish instead. You could blend it up afterwards but I’m not even sure if that would be necessary. I’ve tried this… the ice crystals are a little big when you freeze directly so it’s a bit grainy, but it’s still pretty good. I think it’s better if blended up. Thanks Sarah for yet another wonderful recipe. I’ve encountered a problem however… when I put the mix into the icecream maker, after awhile the oil formed tiny lumps. This lead me to think I should’ve drizzled the olive oil into the custard, in order to emulsify the mixture a la the mayonnaise technique? You obviously didn’t encounter this issue, what are your thoughts? Strange. I’ve made this about six or seven times and never had that problem. Was the custard thickened enough? I made it this week and had the same thing happen. I chilled my custard, which was smooth, then when I ran it in my ice cream maker it formed little lumps like dippin dots! Maybe next time I’ll re-blend before running it through the ice cream maker, or just freeze and then process in the vitamix. Olive Oil ice cream, what an interesting idea! Looks delicious. I wonder if a less fat coconut milk would work as a substitute? I think it would go rock hard with coconut oil, but you could try it. Can u suggest some substitutes for the coconut, even though it will change the result? Tx! Sounds delightful-If I neither have a BlendTec nor an ice cream maker (I have a food processor and a VitaMix) what can any of you suggest? This sounds awesome! I just finished making this in my ice cream maker. Amazing. I’ve got this in my freezer now (doing bowl method). I’ve used carton coconut milk (thinner than canned) but duck egg yolks so I’m thinking the enormity of the duck egg yolks might cancel out the thinness of the milk. So far the liquid tastes nice (the olive oil and honey goes together really well) but maybe a little too salty. I’ll see what it’s like frozen! Shamefully I’m just using my favorite supermarket brand olive oil for this. I bought a local organic one pressed the weak before I tasted it and it was just waaayy too strong and the smell was really unappealing. My fiance wouldn’t even eat the broccoli that I had seasoned with it. I’m wondering about the olive oil too. My husband is an EVOO connoisseur and most of our special olive oil has a very strong taste. Does the one linked to have a specially mild taste? Or would a grocery store organic EVOO work as well (Trader Joe, etc.)? Sorry to be so picky, but I still haven’t found an olive oil I like for mayo. Finally made this and it’s amazingly good esp with a bit of balsamic. My daughter doesn’t like it (sorry) but my son said ‘passable’, which is as good his compliments get. I’m planning on reducing some balsamic to try with it. Thanks! I’m allergic to eggs:( Do you really need them? Should I try it? When I first read this recipe and your glowing report, I admit I was more than a bit put off. I thought you must be crazy. 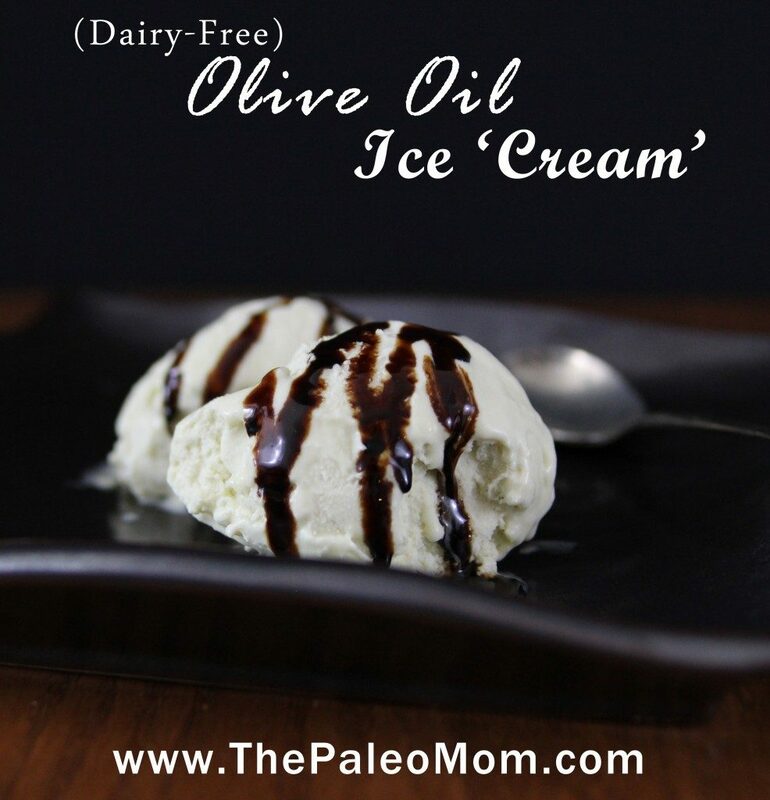 Olive oil ice cream? Yuck! I’m not a fan of olive oil or coconut milk. But I finally tried it this afternoon. Still skeptical. But then I’d gone ahead and gotten the ingredients and didn’t want them to go to waste. While I was stirring the coconut milk and egg mixture together, I still thought I was wasting my time. I timed myself 7 minutes to make sure I got it just right. Oh. My. God. it IS the best ice cream ever!!! And it wasn’t even cold yet! I never would have thought of putting coconut milk and olive oil together nor that the result would be so delicious!! You were so right! Thank you for this recipe! I’ll have to try some of that aged balsamic with it too one of these days. Can you taste the coconut or just the olive oil? So, you say to blend them together for a minute…is this in a blender or the sauce pan they’re cooked in? It’s a lot of clean-up; sauce pan, measuring cup, blender, ice cream maker…so I was wondering if you could clarify before I attempt this recipe, thanks! I went ahead and put it in the blender, (I had moved away from the stove to look @ the recipe and sure enough, it boiled for a second and the bottom layer curdled) and that smoothed everything out; the final product is pretty terrific. Different, unusual even, but tasty and I’ve had a bottle of Balsamic syrup for quite some time that is specifically for my summer Salad Caprese and this is an even better reason to use it! Thanks so much for the clarification Christina…turns out I needed to use the blender anyway; but I hadn’t thought of the immersion blender. Will remember that for next time! I made this today with some orange infused olive oil. Wow! It tasted like a high-brow creamsicle. Absolutely delicious. Curious…what ice cream maker do you have? I want to buy one< any advice would be helpful!! Sarah, this was great! I used 1 Tbsp of gelatin and 1/4 cup of hot water instead of the egg yolks and it made it custard-like creamy–recommended. Mine tastes like non chemical-laden bubble gum with a really great olive oil essence. Thanks for the recipe! Just throwing out there that there is a local oil & vinegar emporium we have near here that carries dark chocolate vinegar and strawberry vinegar that are both divine and would both be magnificent on this. I am going to have to do it. Although I think the ice cream is ridiculously fantastic by itself. There’s a product called “pomegranate concentrate” or “pomegranate molasses”. Available in Middle Eastern stores or on Amazon. It should have just one ingredient – pomegranate. I use it in lieu of balsamic vinegar in everything. It’s even better than balsamic with this recipe. This has been my go-to ice cream recipe for a while now. It’s absolutely amazing if you add cacao and is usually pretty good with all kinds of fruit. The only time it’s lacking is when I want a pure vanilla flavor. It’s given me a good foundation for making ice cream, though. Obviously, fat = real deal. So I’ve tried using avocados and nut oils but those all impart different flavors and can get expensive fast. It’s no longer dairy-free, but holy crap you get all the creaminess with only a creamy flavor. Thanks for the idea!!! Thankfully I made some carob brownies earlier today too, and that helps the ice cream go down, for me. Looks like an interesting recipe! I always love olive oil ice cream in restaurants. I think I will try it with 1/4 tsp liquid stevia. I usually can get it to work in most recipes. Thanks for sharing! It sounds so weird….but it’s SO GOOD. The texture is to die for, and the flavor is amazing too, though it doesn’t taste like olive oil. It’s just really, really good. I think the olive oil directly impacts the texture too, since olive oil is mostly monounsaturated fats and mostly remains liquid when cold, it keeps the more saturated fats in the coconut milk from freezing rock hard (such is the problem with most coconut milk ice creams). I could honestly see using this as a base for other flavors of ice cream too. The flavor is so mild, it would make an excellent neutral base for additions like chocolate chunks or caramel. I am curious though, what is the dark stuff drizzled on it in the picture? The first time, I made this with a light tasting olive oil and cashew milk, as I don’t use coconut milk often, plus I added a bit more oil since the cashew milk didn’t seem as fatty as coconut milk. Otherwise, I made it per the recipe. It was a bit sweet for me. The second time I made this as strawberry/lemon. I used cashew milk again, co-milled lemon olive oil, a little less honey and lemon extract. I put the strawberries in after it had been in the ice cream maker for a bit. It is so good!!! I have several other ideas for the basic recipe. I have found an excellent source of artisan olive oil made in California. In January 2016, my son actually took me to visit the facility and I was sold. They have an online business too, so I can order what I need. 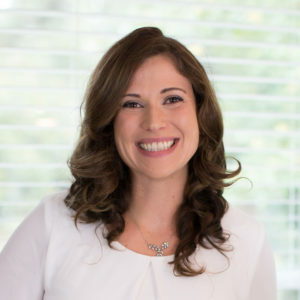 Thanks for sharing your tweaks. They sound delicious! 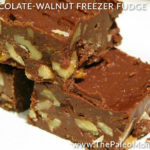 I just made this using [cheap] store-brand EVOO, and the result is still delicious and oh, so decadent! I’m assuming that a higher-quality olive oil will lend more flavor to this; right now, the ice cream has a nice and mild peppery aftertaste only. Still some of the best damn vanilla ice cream I’ve ever had. Thank you for posting this! High quality EVOO tends to have a stronger flavor, as you said, but I’m glad you were able to make it work with what you have!!! !